Double-Walled Construction: Keeps water cold twice as long. Optimized Cage Fit: Engineered to securely fit in a variety of bottle cages. Easy Squeeze: Get more fluid with less effort. High Flow, Self-Sealing Cap: Maximizes flow rate while eliminating splatters and spills. 100% free of BPA, BPS and BPF: Ride clean, drink clean. Easy-to-Clean Interface: All parts can separate for thorough cleaning. Positive Lock out: For leak-proof transport. Trutaste™ Polypropylene with Hydroguard™: Taste your water and nothing else, time after time. 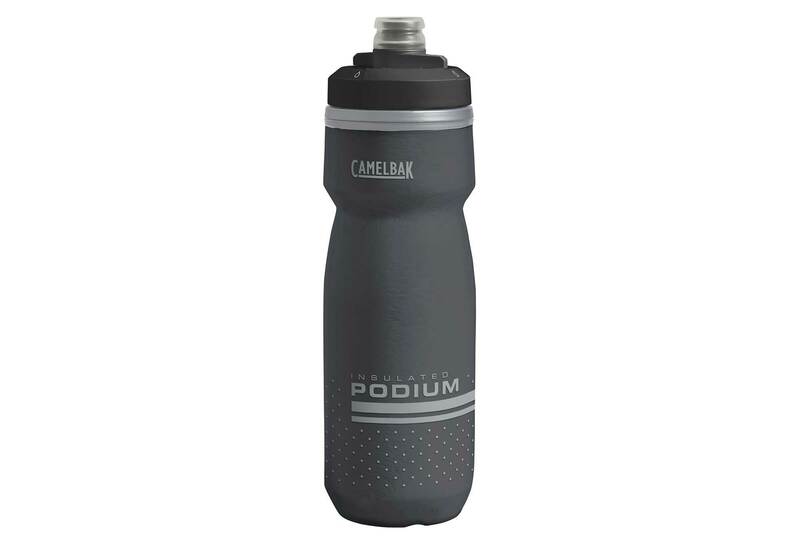 Capacity: 0.62 L / 21 oz. Cap material: The Jet Valve™ is made from medical grade, self-sealing silicone. Dimensions: 7.3 x 7.3 x 23.8 cm.